As a member of Scrap it Up 365, I love doing the 7 in 7 challenges – one layout a day for seven days. This months theme was “April Fools” and funny layouts. Day 3 asked us to use Puns as inspiration for my layout. Of course, I had to feature my favorite canine-kid! One thing I learned was that I’m not terribly funny. I don’t tell jokes or like to prank others. It made it difficult for me to find inspiration for layouts – but I did love the challenge! Share your funny layouts by linking up in the comments. If you’ve been reading my blog for a while, you know how much I love sketches. Recently, I’ve been enjoying the ones from Let’s Get Sketchy. They’ve put out a call for Design Team members but the deadline is today. Yes, short notice, but I’m going to try. Who’s going to try with me? Welcome to the Creative Christmas Blog Hop! We hope you’ll enjoy a day of festive fun and inspiration as the Scrapbook Bundles designers showcase the products available in the Creative Christmas 2015 Bundle. Click through all the blogs before 11:59 EST and be sure to leave a comment on each and every one, because at the end of the hop ONE lucky “hopper” will win a complete bundle before you can even buy it! So grab a drink, flex your mouse-clickers, and relax. We’re going to bring you your most creative Christmas yet! There’s so much goodness in the Creative Christmas Bundle this year I’m having trouble finding time to enjoy all of it! 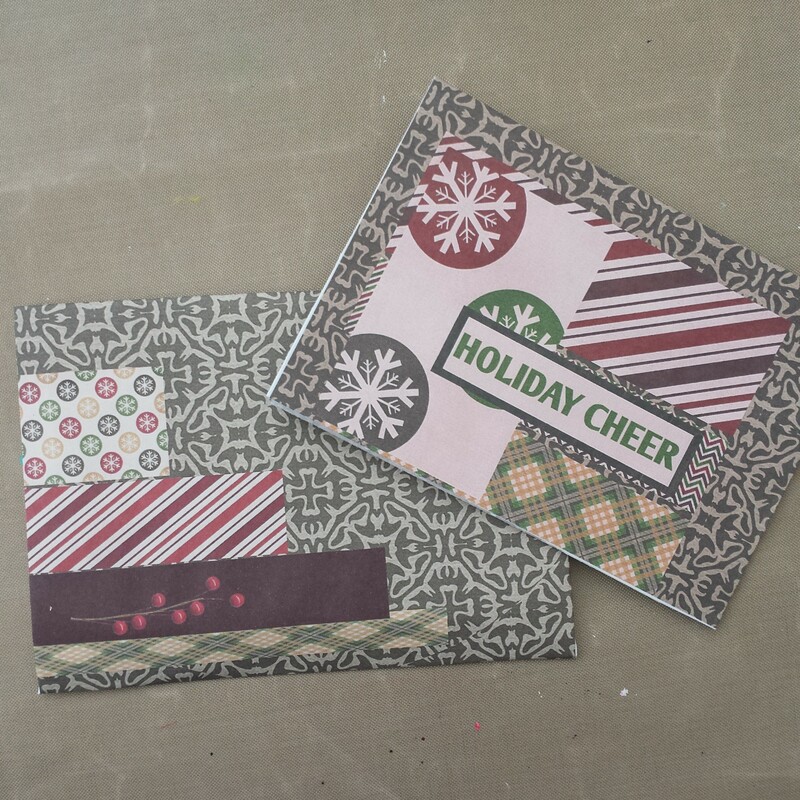 I love the Good Cheer digi kit and the templates included are really fun and easy. To use the templates, I copied the png files into a new 8 1/2 x 11 project and then I used the papers in the Digi-Kit to make the Flower and Ornament. I printed them out on card-stock and cut out the images, however I think these would look really terrific with any of your holiday double-sided scrapbook paper as well. While assembling the flower, I found having a round pen to help round the paper was very useful. And for the ornament, it’s fun to play with making different shapes by moving the staple position. After adding a button and some twine, I think they’re ready to be hung. The Good Cheer collection is one of 14 collections in this year’s Creative Christmas Bundle. Other collections include planner sheets, holiday printables, card sketches and ideas, classes and more! The Bundle is only available Thanksgiving weekend at a wonderful price. After that, you’ll be able to buy each part individually from each designer. Sign up now to download a fun holiday project as well as to get early bird access to purchase the bundle. And if you leave a comment below before midnight tonight, you’ll be entered into a drawing for a free bundle – tell us which part of the bundle might be your favorite? Welcome back to the Make it Monday blog circle! Did you come from Alice who showed how to make Dad a mini album for Father’s Day? Her tips make it oh so easy! Through my Scrap it Up 365 membership, I created a fun Father’s Day card with Panstoria Artisan. Here’s the sketch that was the inspiration and my finished card. I opened a Miscellaneous 8 1/2 x 11 project to a blank page. I selected the Createwings Beach Memories kit as I love the papers in this kit and have been in a beachy mood lately. I cut out a square shape from the blue paper and resized it to 5×7. To make the circles, I cut them out of the blue paper, revealing the white background. 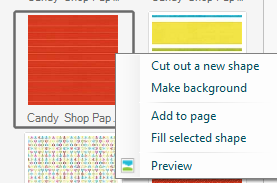 To get the shadow effect, select the 5×7 paper with the cut out circles and Format > Heavy Shadow. Or play with a custom shadow if you’d like something different. I then cut a star shape out of the brown paper. I put the star on one of the circles, played with the sizing and tilt until just right. 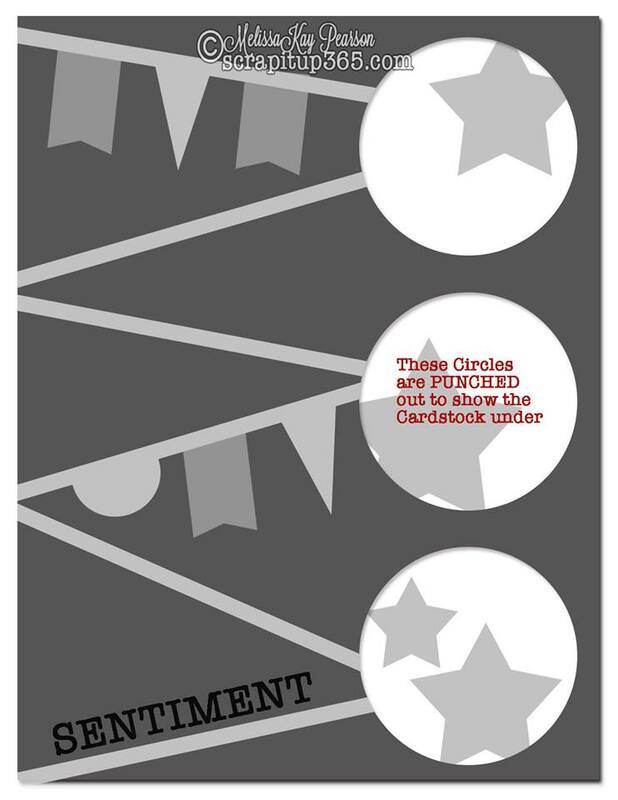 I then copy/pasted it a few times for the other circles. 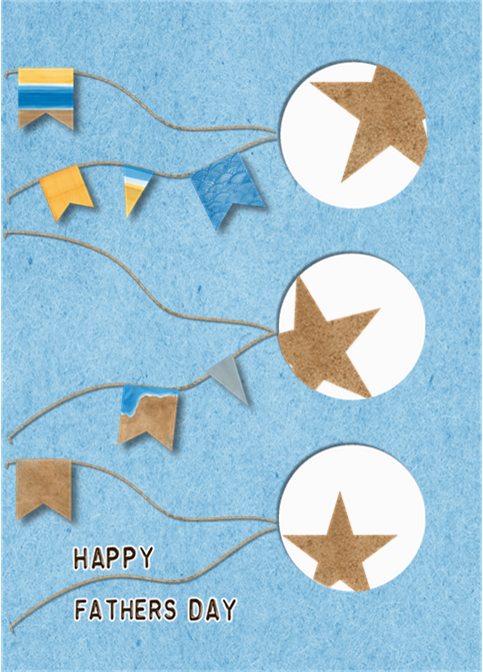 From there, I selected the stars in a single circle and Cut & Fill > Shapes and used the same circle shape as before. Move it over the circle and cut – what’s left is the star peeking from behind. I then added some string, banners and a title. I loved the concept of the cut outs and will be doing that again and again with different shapes! I’ve added this card to my Sendcere account so click here if you’d like to send it to your dad too! Thanks Melissa from Scrap it Up 365 for your inspiration! 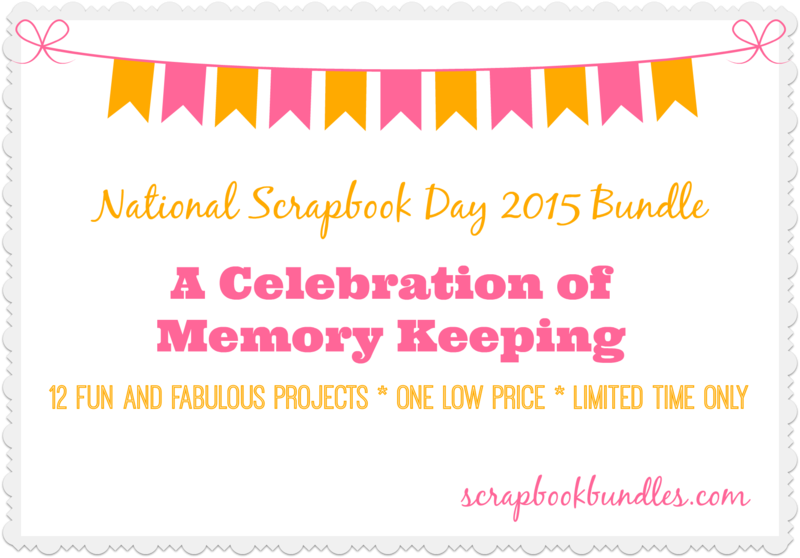 Scrap it Up 365 is a new membership site for paper and digi scrapbookers. There are monthly sketches, make ‘n takes, live events and challenges. Check ’em out (and please tell them that I sent you)! Now, continue in the Make it Monday Blog Circle to Kristie who is showing you a great folded shirt card, perfect for the guys! Added Bonus: it holds a gift card! . Today is the official kick off of the 2015 Summer Scrapping Challenge. Have you joined our Facebook Group? Click the image below to see what’s happening. iNSD Scrapbook Bundle is coming soon! We’re in pre-launch mode for the iNSD Bundle! We’d love to have you on board as an affiliate. You’ll earn 40% on every sale you generate, PLUS an extra $10 one-time bonus for every affiliate you refer who makes a sale. Sign up here – and please enter my name as your referral. We have tons of resources to help you get started, including sample email sequences you can send today. To see more about the bundle, click here. I’ve included 10 Pre-Designed Templates for use in Panstoria Artisan or StoryBook Creator 4. There’s all sorts of other great products too! Wow! It’s March! And thanks to St. Patrick’s Day, I’m thinking Green. As are the others in our Make it Monday Circle. Did you arrive here from Jen and seen her ‘green theme’ free template? Read on to see who’s next in the circle. 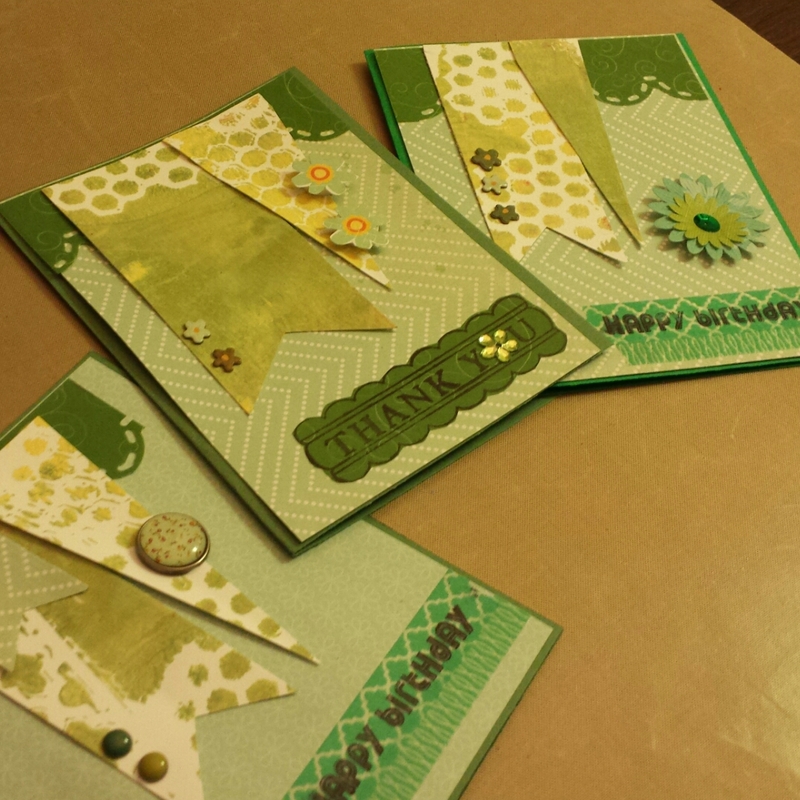 This week, I used the Green theme to make some Birthday and Thank You cards that I needed to use. I also wanted to use a card sketch from the new Scrap it UP 365 community. I used mostly scraps for these cards. And I’ve re-roganized my papers into color families based on the rainbow. It sure made it easy to do a monochromatic card when I could see all my green papers grouped together. I loved stamping on washi and vellum – I’d never done that before. And using up random embellishments was fun! Do you use much Green in your crafting? Link up your creations in the comments. And now, head over to Connie and see how she gets artsy with an easy watercolor card! Did someone say Distressing?! I’d say I’m a fast digi-scrapper, mainly due to the fact that I use these tools on almost every layout. Knowing the features of my software is the key to my success. Home > Page > Change Template: I usually use a template as a starting point. Often I’ll change it so much that by the end, it hardly looks like the original template! Photos > Show > Photos Not Used: I love this feature since I usually do my photo books in spurts. 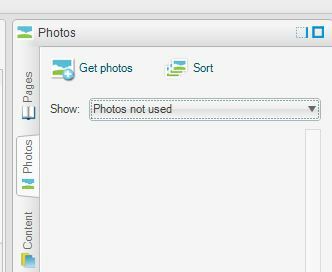 I’ll import the pictures I need for the layout(s) and then show the photos not used. 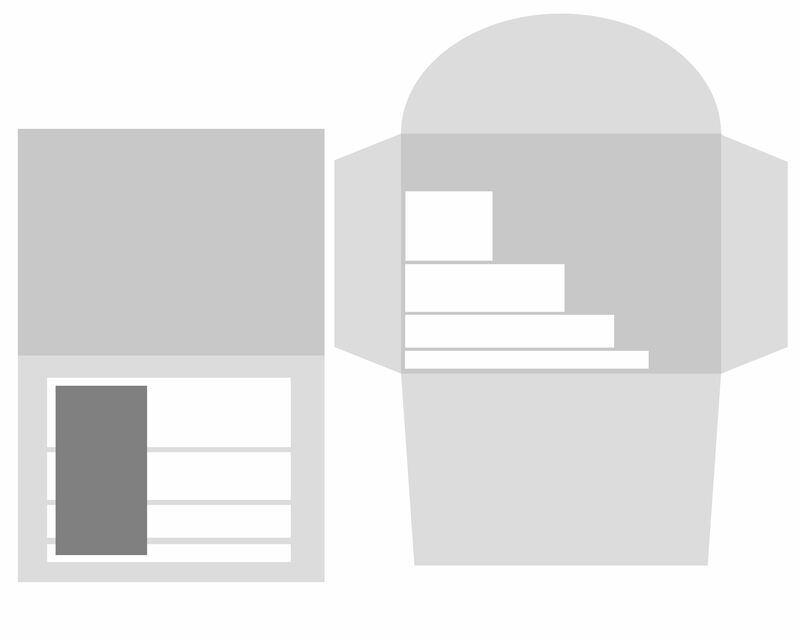 Content > Fill Selected Shape: I love how I can select something from the template and then use the Fill Selected Shape to fill it in with a paper. And it works great with multiple items selected! Insert > Text: I use each of the five options (Text, Text Path, Fancy, Shape and Symbol) frequently. It’s worth playing around with these features for titles and journaling. Format > Heavy Shadow: I always put shadows on my layouts as it helps make them look more 3D. Sometimes I’ll even use the 3D option but other times, a basic shadow will do. To learn more about using Artisan, consider trying Pixels2Pages – they are awesome teachers! Now, I’m in the process of digging deeper into Artisan as it’s a truly robust application with so much to offer. Stay tuned for more posts on each of these features as I learn even more to help you enhance your digi-scrapping. Do you have a favorite feature that’s not listed here? Share with me in the comments so I can add it to my list of features to write about. Welcome to December and welcome back to the Make it Monday Blog Circle. If you came from Cara you saw how she is busy making gifts with some of the Creative Bundle items. Read on to learn more about the bundle as well as where to make your next stop on the circle. I was asked to help with a 12 Days of Christmas project with the Scrapbook Campus. I was given this sketch to create a digi-hybrid card and envelope. I did a complete step by step tutorial on how to make this in Panstoria Artisan software. Click here for the tutorial. As an added bonus, when you join my mailing list, I’ll send you the finished files [.png format] for the card and envelope so all you have to do is print, fold and mail! Click here to sign up. If you would like to participate in all 12 Days, sign up for the Scrapbook Campus 12 Days of Christmas now – it’s free! By the way, today is the last day to get this great Creative Christmas Bundle of over $300 in projects & printables for only $29.99. There’s 15 holiday crafty items here — it’s worth it! Next up in the Make it Monday Blog Circle is Lisa who is sharing a step-by-step video tutorial from her Santa’s Helpers Workshop, also a part of the Creative Christmas Bundle.